Flowers and foliage are grown locally, combining fresh and dry elements to create a reflection of nature’s miraculous cycle of life. 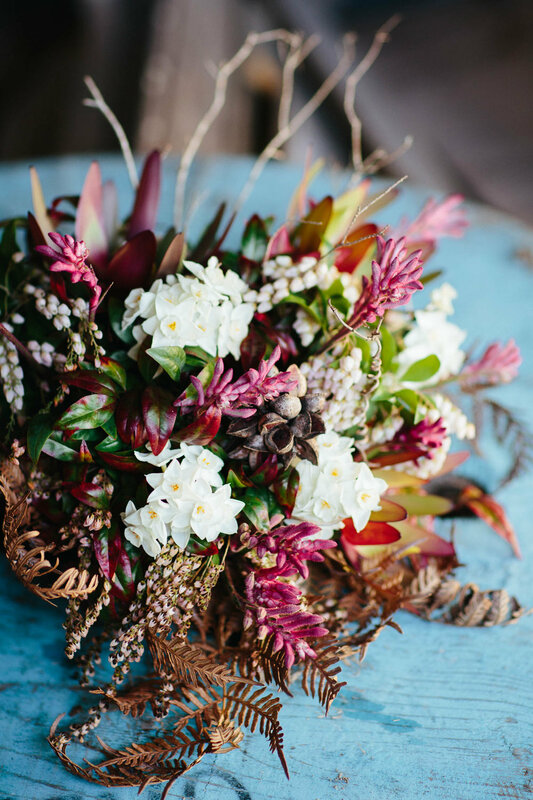 Incorporating floral and foliage arrangements into your wedding is a beautiful way to add raw and blossoming beauty. Special care is taken to make sure that your wedding is filled with a glimpse of nature and love of its gift to us. Sustainable practices are used to minimise the carbon footprint through foam free designs, recycling and composting practices; because love was designed to bring us closer with our environment, not further apart.